Olukayode is an international broadcast journalist with over ten years of hands-on experience in both radio and television news and programs presentation. He has been trained in the art of presentation and broadcast journalism by some of the finest broadcasters in the world including veterans at CNN, BBC, AL-JAZEERA and DEUTCHE WELLE. He cut his teeth as a presenter at VOICE OF NIGERIA, LAGOS, where he worked until 2009. He has since gone ahead to work for other international media houses. 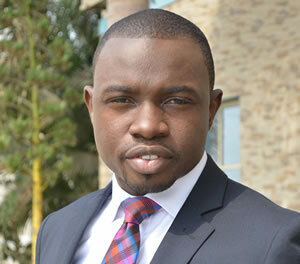 Olukayode has brought his broad skills and experience to bare in delivering quality news and impactful programmes since he joined the team at CHANNELS TELEVISION in January, 2015. He has great interest in Appearance, Behaviour and Communication. He loves family, music and aesthetics.